Warping people in the most hilarious way for fun, improving someone's appearance or for serious plastic surgery decision process, this app will help you. 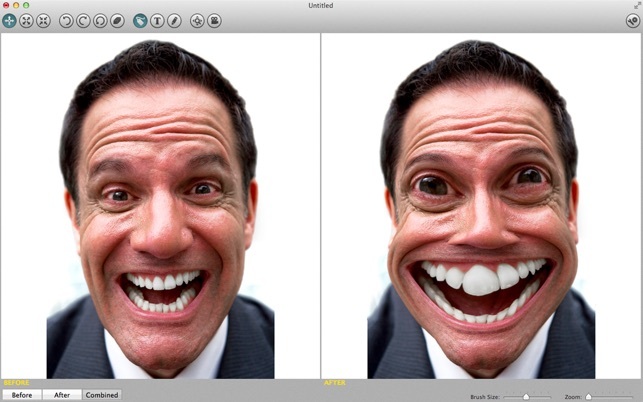 • Import a head-shot or full body picture from your camera or computer image library. Preferably the subject should be photographed on a unified color background and well lit, so the contours are clearly visible. • Drag, grow or shrink the body parts that you want distorted. For example you can crush this bump on your nose, or even make you slimmer. • Undo latest changes if you are not satified with latest modifications. 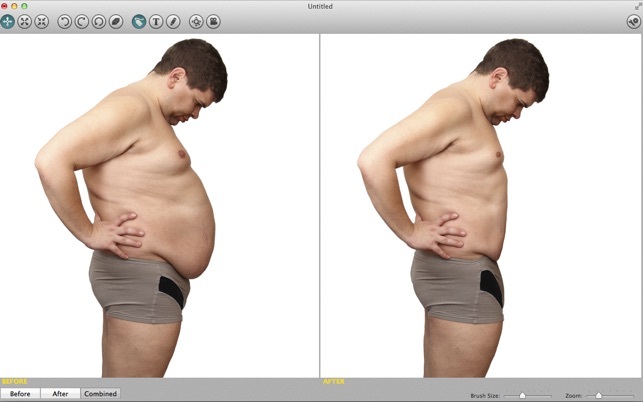 • Switch from single to dual view, to easily compare the before / after images on same screen. • Save your image, or share it on Befaft.com, our own social network where you can rate and comment other users' pictures. I’ve used the app since 2011 and since that time, I was quite satisfied - until tonight. At first it would not save ‘my modified pic’, and now, I can not open up any previously saved files. Something is wrong. I’ve trashed the program and now trying to reload the ‘newest’ version. Again, the program crashed and will not save the file and now will not pull up previously files. 2/19 Now when I export the version that was modified (After) does not save. Plus, importing files hangs up and I have to ‘download’ the version from the app store again. Is there no way this can be fixed? When I upload a ‘previous’ file, it’s not recognize. I run this program on 2 different PC, both have the same ‘Issues’. You contacted us via email reporting the problem (but didn't mention the crash). I replied within minutes asking to send an image that is causing you the problem so we can reproduce the problem locally and fix it. You didn't even answer and came here complaining. Doesn't seem you want the problem fixed. We can't help if you don't send an image causing the issue. 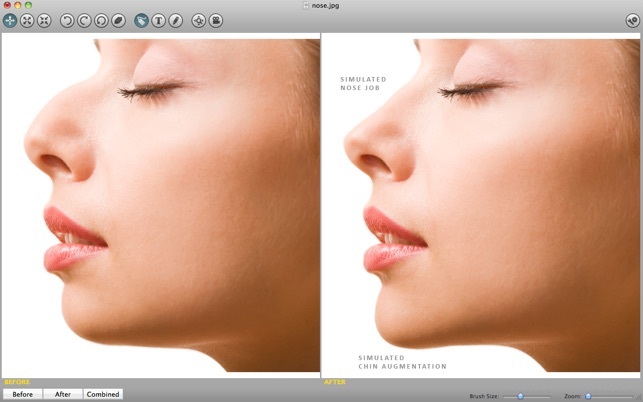 its just an editing app, there is nothing specific for plastic surgery.